Aluminum Bar Chair finish as per required as polish, powder Coating, we offer a wide range bar chair Furniture like Aluminum Furniture and offer this product as per client requirments and this product made by our expert with great quality and i am looking for bulk order with foreign query. 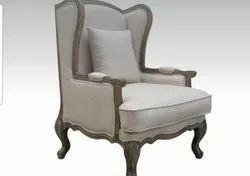 We are determined to provide superior quality Club Chair to our esteemed clients. For the fabrication of these tables, we utilize premium quality raw material that is also quality tested. Our offered tables are highly praised among clients due to their attractive designs, perfect finish, unique pattern and extended durability. Driven by an intense desire to attain utmost approval, we render our customers with the superior quality of Bar Chair. By keeping the track of the latest market trends, we are engaged in manufacturing and supplying an exclusive range of Leather Club Chair. - Attractive and Reliable Wide Range of Leather Club Chair collection. - Our Design Engineer Keen to Work on New Attractive Design. - International stander of Quality Control of each Sofa. Bar Chair Rs 4,000/per pc.